India’s government has said rumours that a kidnapped Catholic priest was crucified on Good Friday are false, and promised that efforts are being made to secure his release. A flurry of news reports both confirming as well as denying the alleged crucifixion of Rev. Thomas Uzhunnalil, 56, at the hands of the Islamic State on Good Friday created anxiety and confusion among Christians around the world. But after meeting with External Affairs Minister Sushma Swaraj, Rev. Joseph Chinnayan, deputy secretary general of the national bishops’ conference, reported that the priest is “safe”, and that the government is adopting “all possible means for [his] quick and safe release”, which, he says, is now “imminent”. A flurry of news reports both confirming as well as denying the alleged crucifixion of an Indian priest at the hands of the Islamic State on Good Friday created anxiety and confusion among Christians around the world. The tension was most palpable at the home parish of Rev. 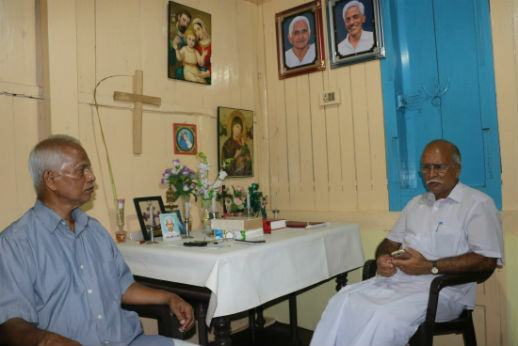 Thomas Uzhunnalil, a 56-year-old Catholic priest in Ramapuram – a traditional Catholic stronghold under the Diocese of Palai, in India’s southern Kerala state. Uzhunnalil, a member of the missionary order of Salesians, was abducted on 4 March from a Missionaries of Charity home for the aged in Aden, Yemen. Sixteen people, including four nuns of Mother Teresa’s charity, were murdered in an attack on the home suspected to have been carried out by militants allied with the so-called Islamic State. At the time, the priest went missing, and was then presumed abducted. According to the Washington Times, his alleged captors had reportedly issued a threat to kill him in the same way Jesus was put to death – on a cross. None of this apparent explanation of initial events has been able to be verified so far. “Is it true?” was the repeated question that came by phone to Rev. George Njarakunnel, the parish priest of Ramapuram, on the afternoon of 28 March, as Indian news channels started displaying breaking news tickers: “abducted Indian priest crucified”. As it turned out, the rumour of Uzhannalil’s crucifixion appeared to be false, the product of misinterpretations. It arose in the Easter sermon of one of Pope Francis’ most senior Cardinals, Christoph Schonbrunn of Vienna, who had hinted that the abducted Indian priest was crucified by Islamic State on Good Friday in Yemen. Sources told World Watch Monitor that Schonbrunn had based his remarks based upon a mis-understanding of a 26 March communication from the Archbishop of Bangalore, Bernard Moras. These had then been picked up by Austrian and Polish media, while official Vatican news sources remained silent. On 28 March, Bishop Paul Hinder of Southern Arabia, in Saudi Arabia, told Catholic News Agency that there were “strong indications” Uzhannalil is still alive. That didn’t stop the phone from ringing. “I am getting repeated calls. What can I tell them?” Rev. Njarakunnel said when World Watch Monitor arrived in Ramapuram, 70 kilometres from the port city of Kochi, in the evening. “I told them – let’s pray this is not true. I asked our bishop, and there is no confirmation,” he said. Meanwhile, women attending evening Mass could be seen speaking in hushed voices, discussing the same. 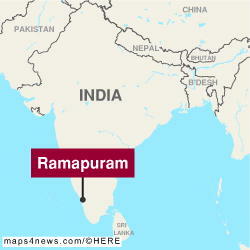 The news came as a shock to many in Ramapuram, since the parish had organised several prayer meetings for the safety of the priest working overseas. His parish is known for its large number of people taking up Church vocations – with nearly 1,000 nuns and priests from its 2,000 Catholic families. “It cannot be true,” said V. A. Thomas, a retired teacher and eldest cousin of Uzhannalil. He had received word of Bishop Hinder’s statement that the crucifixion story was a rumour. 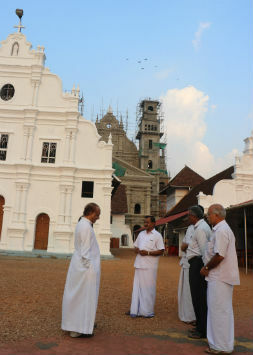 On the afternoon of Easter Day, 27 March, around 50 members of the Uzhunnalil clan had gathered in the same house for prayer for the safety of the priest. In Uzhannalil’s ancestral home, tucked amid the rubber plants, his eldest brother, Mathew, 73, waited alone. He had rushed home from Vadodra in Gujarat state in northwest India as soon as the news of the kidnapping of his younger brother had appeared. With no TV or radio inside the locked-up house, Mathew seemed to be least aware of the frantic rumours that were going around in electronic and social media. “I trust in the Lord. Without His knowledge, nothing will happen,” Mathew said. Since the death of his mother, Thresia, in September 2014, he said the house had been locked up. Three younger brothers and a sister are married and living in the United States, while another sister lives more than 200 kilometres away from the Kerala home. After 14 years of service in war-torn Yemen, Thomas Uzhannalil returned to Bangalore in India. V.A. Thomas said the priest went back to Yemen recently when his replacement Salesian colleague could not obtain the necessary visa. On 29 March, the Archdiocese of Vienna, where the rumour had gained widespread notice three days earlier, issued a statement indicating “there is still uncertainty” about the fate of Uzhannalil, and that Bishop Hinder in Saudi Arabia was “cautiously optimistic”. Vatican Radio reported on 28 March that a spokesman for the Salesian order’s Bangalore province was persuaded that “no harm” had come to Rev. Uzhannalil, based on statements from the Indian government that it was actively trying to rescue the priest. And the Salesian News Agency issued a statement on 29 March that it remained “on the lookout for news, which we hope will be positive”. The churn of rumours has taken an emotional toll, the Catholic Bishops Conference of India said in a 29 March news release.